Assassin's Creed Victory: Ubisoft's Redemption? Assassin’s Creed Victory: Ubisoft’s Redemption? The Assassin’s Creed franchise, has long been one of the biggest and most successful series in the world of video games. Combining historical time periods and characters with fictional protagonists, has provided varied locales and interesting premises, to create some of the most interesting settings in games. The adventures of Ezio Auditore da Firenze, that have spanned no less than three major releases, have especially been well received by gamers and critics alike and are some of my personal favorite gaming experiences. Assassin’s Creed IV Black Flag, has also been a fan favorite of the series and was very well-loved by most. The follow ups that came in the form of Assassin’s Creed Unity and Assassin’s Creed Rogue, for new gen and last gen respectively, were not so highly regarded. Truth be told, Unity was plagued by technical issues that affected both the console and PC versions. 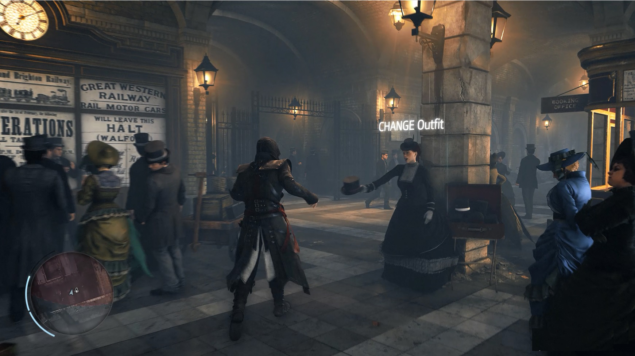 This resulted in many gamers losing faith in Ubisoft and the Assassin’s Creed franchise as a whole. I admit that I am a big fan of the series and I wouldn’t let one relatively bad iteration of spoiling my adoration for the franchise. Personally I do believe that even Unity had its moments and at times it even achieved greatness. Regardless I do hope that the company’s new offering, Assassin’s Creed Victory, manages to alleviate all the shortcomings of its predecessors and bring the series under a more favorable light. Victory is set in Victorian London, a quite interesting setting and time period that will surely provide incredible opportunities for interesting missions. The Victorian city of London was a city of startling contrasts. New building and affluent development went hand in hand with horribly overcrowded slums where people lived in the worst conditions imaginable. The population surged during the 19th century, from about 1 million in 1800 to over 6 million a century later. This growth far exceeded London’s ability to look after the basic needs of its citizens. A combination of coal-fired stoves and poor sanitation made the air heavy and foul-smelling. Immense amounts of raw sewage was dumped straight into the Thames River. Even royals were not immune from the stench of London – when Queen Victoria occupied Buckingham Palace her apartments were ventilated through the common sewers, a fact that was not disclosed until some 40 years later. I have no doubt that Victory will provide one of the most interesting backgrounds yet in an Assassin’s game and given the fact that Microsoft mentioned that the first DirectX 12 games will start rolling in this holiday season, the team could very well be working on the new API. That alone, could be enough to solve most of the technical issues and limitations that influenced Unity. With a very probable reveal at this year’s E3 and a release during the holiday season, Assassin’s Creed Victory could turn out to be one of, if not the first DirectX 12 game. The publisher seems to have been listening to the fans’ criticisms and it is said that a more intuitive combat system is in play. Lets hope that this turns out to be true and that Victory is indeed the redemption for both the company and the franchise, as it is truly a shame that a series with such beautiful and imaginative pedigree, turns out to lose its success.